From outward appearances, Cascadia’s Garlington Center rests quietly along today’s lively Northeast Martin Luther King Junior Boulevard. But inside the center’s front doors is a bustling lobby where every week, hundreds of people go to get the help they need to deal with challenges ranging from mental illness to recovering from drug or alcohol addictions. Neighbors may remember that the site once housed the neighborhood Kienow’s grocery store from 1953- 1970. And many may still recall that the site was home to the first NIKE outlet store, which opened in 1984 – then later moved down the street to its current location in 1999. 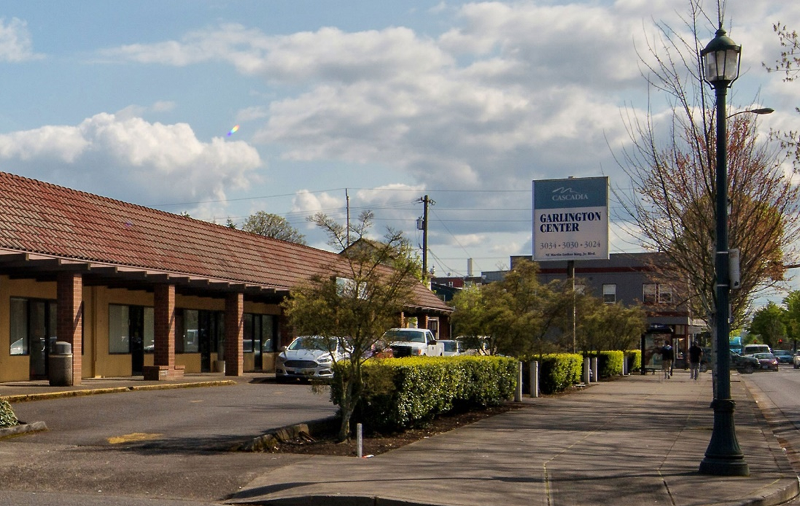 The Garlington Center, a longtime provider of mental health and addiction services for people living in North and Northeast Portland, moved to the site in 2006 and has historically provided a strong anchor for neighborhood connections within the social services community. First established in 1980 as North/Northeast Community Mental Health Inc., the center has relocated four times throughout the neighborhood. In 1989, the center was renamed Garlington Center in honor of the late Rev. John W. Garlington Jr. and his wife Yvonne. Cascadia recently produced a video to highlight the legacy of the Rev. Garlington’s civic work. Looking ahead, Cascadia Behavioral Healthcare, the nonprofit that operates the center, is in the middle of a capital campaign to rebuild the site and looking forward to a fall 2016 groundbreaking. When completed, the new Garlington Center will feature integrated mental health, addictions and primary health care services. In addition, Cascadia will add more than 50 units of affordable housing, with 10 units for people with mental illness, 10 units for homeless veterans, and the remainder for qualifying households. Some of these units will be available to those who qualify via the City’s new preference policy for people displaced from North and Northeast Portland. The new campus will also include a garden and access to wellness education for people who live on site or in the neighborhood.